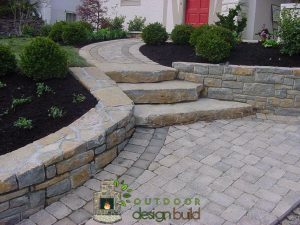 Below is our outdoor design build gallery. If it’s outside and around a home, we design and build it. We build outdoor bars, outdoor fireplaces, stairs, swimming pools, spas, pizza ovens, sitting walls, decks and more. If you like these designs, fill out the contact form or call us to schedule your consultation. We specialize in custom outdoor living spaces and look forward to working with you to design and build your dream outdoor space!